Hover over the cards to flip them! Tap the cards to flip them! 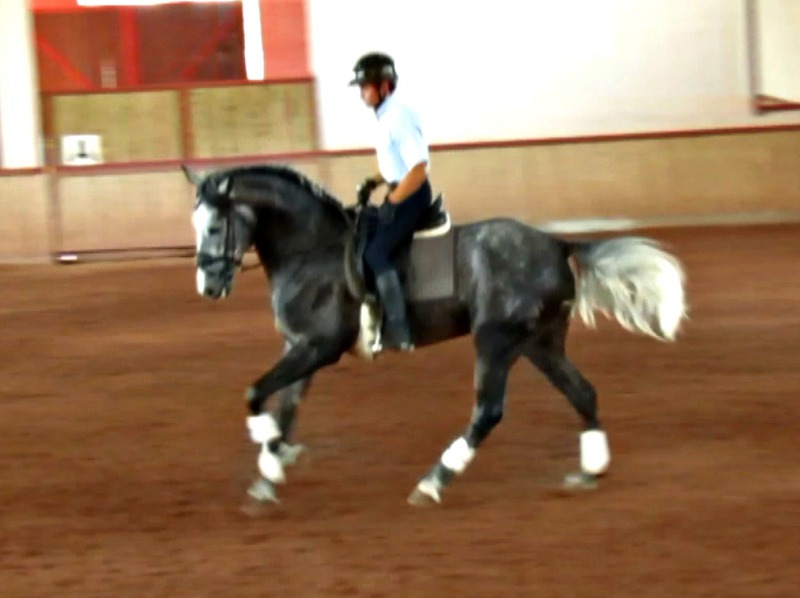 This is a young Lusitano who shows supple movement that can be further developed. A horse that can be moved up the levels super easy when his correct training is continued with a structured approach! 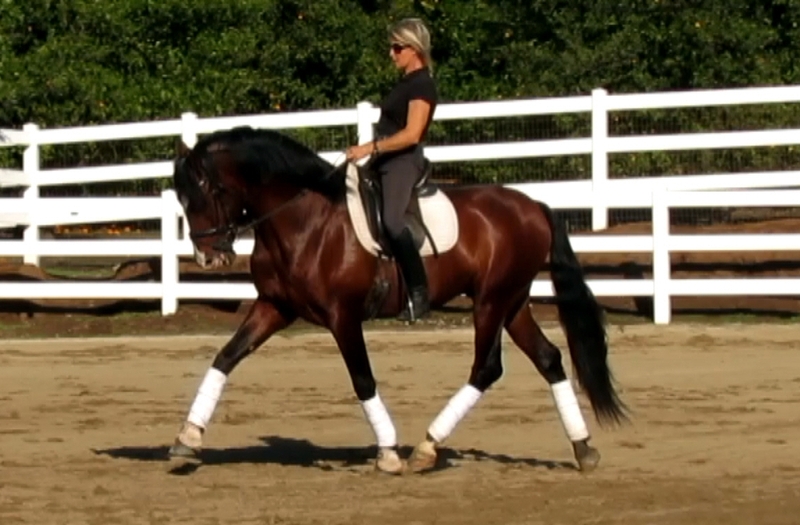 Heredero is an ideal young amateur dressage horse, comfortable to sit, calm, fun and uncomplicated to ride. Like his older brother, this is the type of horse that scores high through correctness and consistency (and often beats the spectacular movers at shows with a tendency to inconsistent performance in the overall scores). Heredero is also great out on trails. A Lusitano that will move up the levels, securely and consistently presenting his breed with strong nerves and a kind, cooperative disposition. A great young horse at a reasonable price! Nativo is an impressive, tall & elegant young P.R.E. stallion. His stunning beauty and presence speak loudly for itself. 3 top dressage gaits and an ideal conformation, combined with a virtually bomb-proof disposition make him super easy to train and a true future FEI prospect! Nativo is alert & engaging but calm. Safe for any level rider. Under saddle he is responsive but not 'electric'. A young horse with great ability to focus and enjoyment about working with his rider! Clean x-rays, 100% sound.